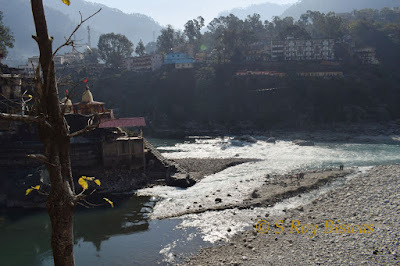 As we started our return journey back from Syalsaur, I had made it a point to revisit Rudraprayag (having visiting the famed destination way back in June, 2001 – here is the link to my previous blog - https://ghummakar-biswas.blogspot.com/2011/12/towards-badrinath.html). Having traversed a few kilometres we had reached Agastmuni, although very few travellers stop by this holy township that is named after the Sage who goes by the same name and there is a temple dedicated to him in this township. 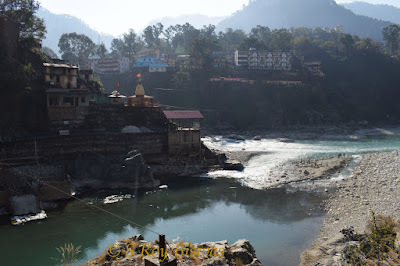 However, we too did not stop here as we had to reach Haridwar before commencement of the evening Ganga Aarti there. Rudrapryag is at a distance of about 19 Kms. 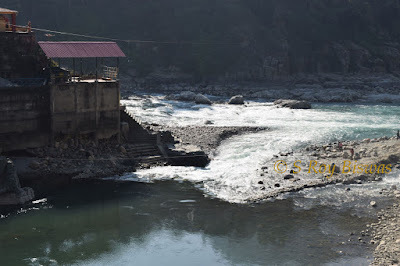 from Agastmuni township and the road runs along the tranquil Mandakini River that emanates from the Kedarnath region. 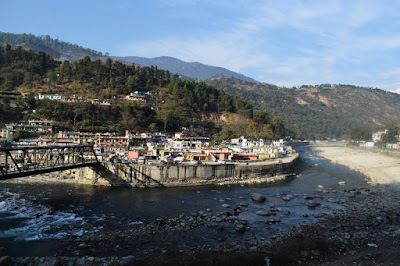 Rudra Prayag is a small township that is located in the state of Uttarakhand and in the district that goes by the same name. 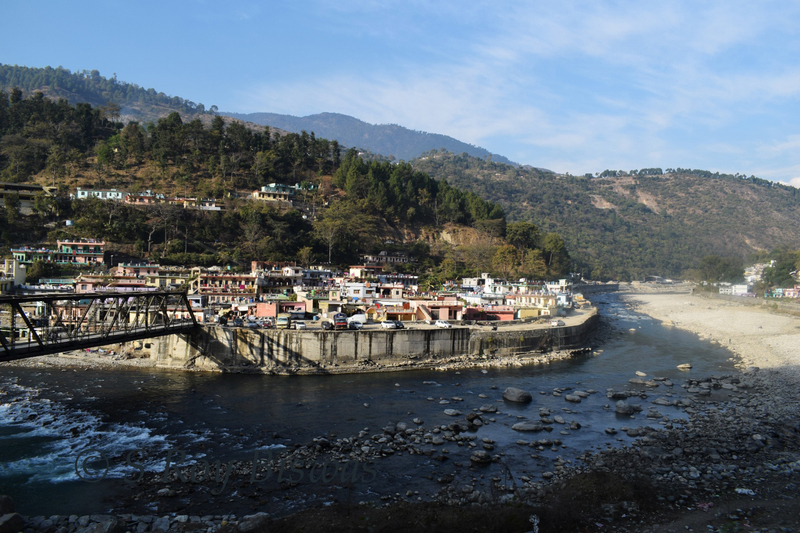 The town is situated at the confluence of the River Alaknanda and River Mandakini, perched at an altitude of 610 meters. Some locals describe the place, as where the two rivers resembling like two sisters embrace each other and there is a quaint mystery about the place. 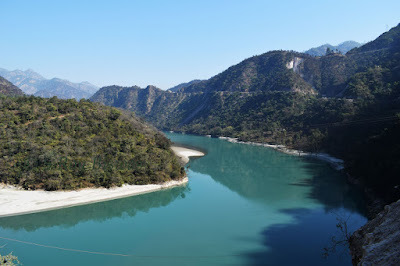 The entire district is steeped in immense natural beauty and one can visit many a famed holy destinations other that trekking destinations encompassing lakes, glaciers, rivers and streams here. There are a few temples that are located in the town as well and these are a must visit while travelling to Rudra Prayag. The main temple that sits at the confluence is known as Rudranath temple that is dedicated to Lord Shiva and the town also gets its name from the same. 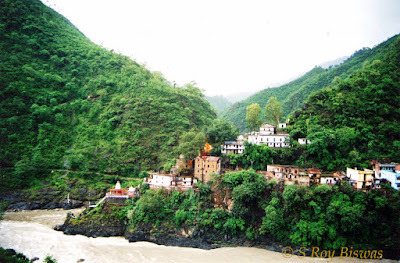 The township is all the more important for the Chardham Yatra as it is the destination wherefrom the road splits towards Kedarnath, after crossing the bridge across Alaknanda River and the other road, after crossing the township, heads straight towards Badrinath along the Alaknanda River. 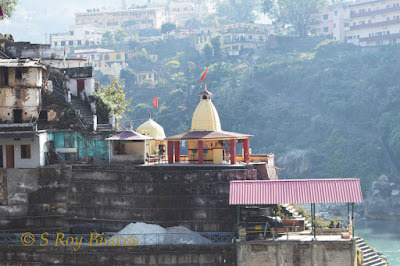 Mythology of the region states that the Narad Muni (a holy sage) has meditated and prayed for years together to please Lord Shiva so as to gain expertise in music. 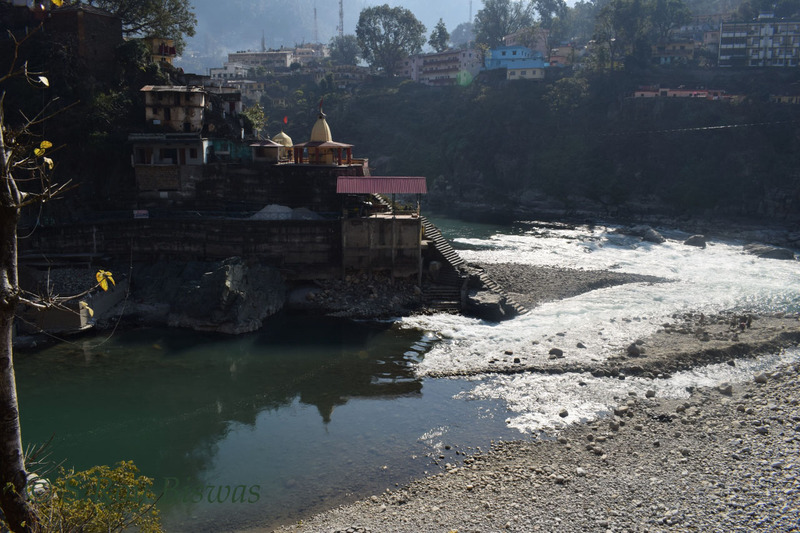 Through his dedicated worship, Lord Shiva was pleased to bless him and appeared before Narad Muni in his ‘Rudra Avtaram’ (a fierce form of Lord Shiva) at this confluence and the temple was built and dedicated to Lord Shiva since. The confluence of Alaknanda with Mandakini is one of the holiest of confluences amongst the ‘Panch Prayag’ (Holy confluences of holy River Ganga) and the others being Dev Prayag (wherefrom Ganga River emerges as one and is considered as the holiest) followed by Nandprayag (confluence on Alaknanda and Nandakini Rivers the latter emanating from the Nanda Devi glacier), Karanprayag (this confluence is of Alaknanda and Pidar Ganga Rivers and the latter emanating from Pindari glacier) and Vishnuprayag (the confluence of Alaknanda with Dhauli Ganga River and the latter emanates from the Niti pass region). Having spent some time trying to get some shots of the confluence albeit across the light, we headed back towards the plains for our next halt for the night i.e. 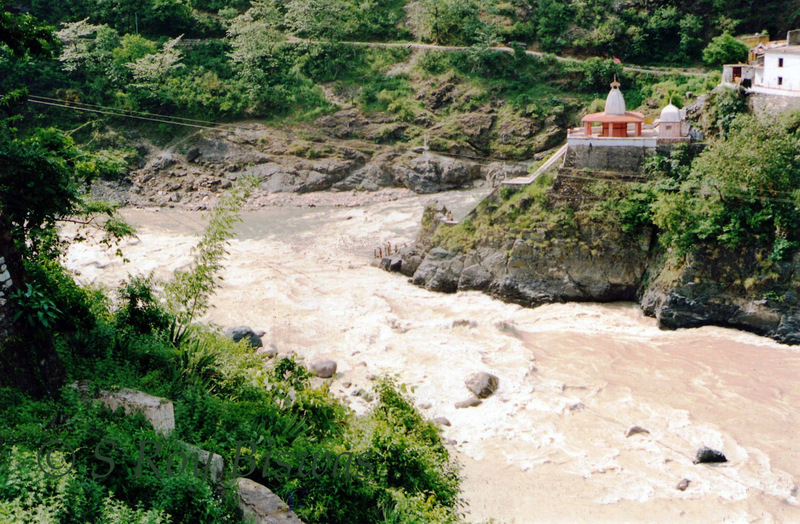 Haridwar. 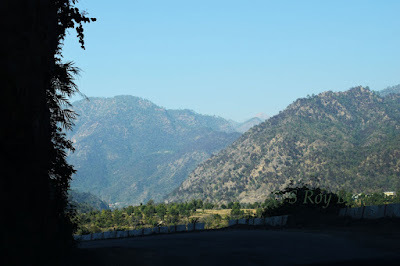 I truly like to reading your post. Thank you so much for taking the time to share such a nice information. 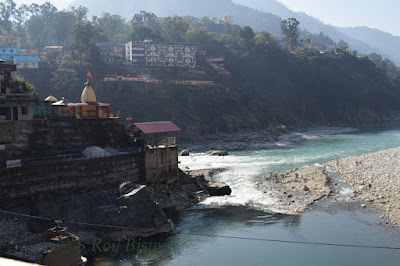 Same Day Haridwar Tour which take you all the places of haridwar at very lowest price.